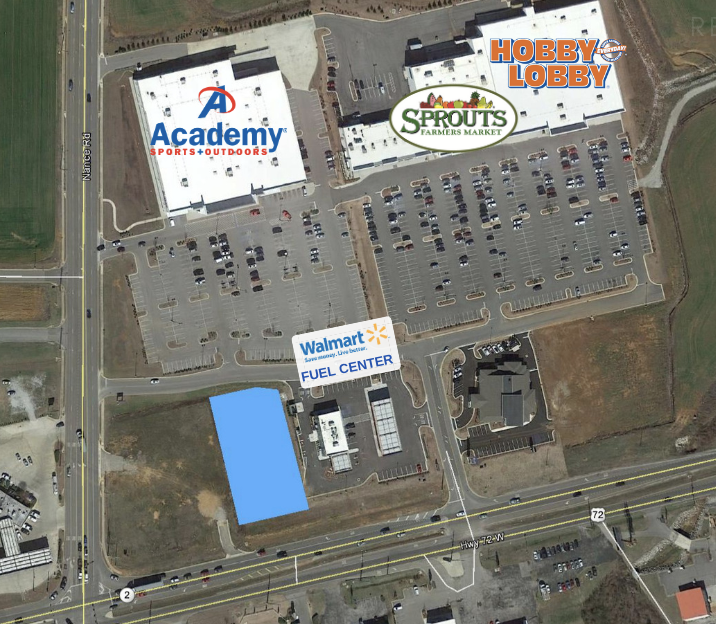 Huntsville Walmart Outlot with 0.85 acres for sale. Adjacent to Walmart Fuel + Pickup, Academy Sports, Sprouts, & Hobby Lobby. 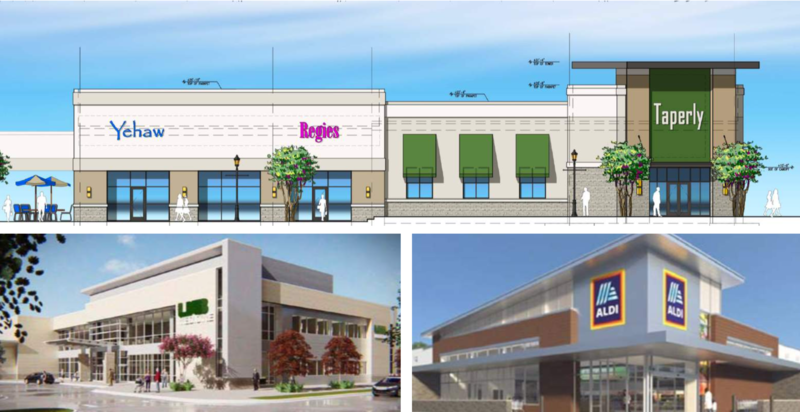 Also, this outlot is located on the Highway 72 West Retail Corridor. 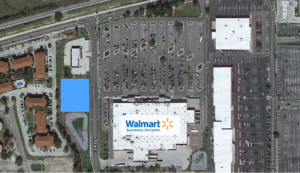 Walmart Outlot for sale in Florence, AL with 1.01 acres available. Located in close proximity to The University of North Alabama & the heart of downtown Florence, this outlot has 1.01 acres for sale. 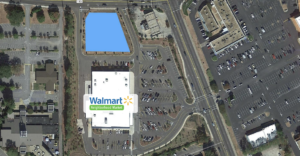 The outlot is adjacent to recently opened Walmart Supercenter #4187. 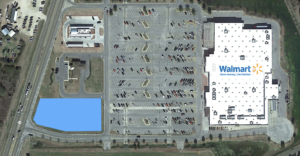 Walmart Outlot for sale in Winfield, AL, located on US Highway 45 with 0.99 acres for sale. Located on the hard corner at signalized entrance on US Highway 78 with 1.90 acres for sale, this is a prime small market Walmart outparcel adjacent to Walmart Supercenter #362. Excess Property for sale in Winfield, AL, located on US Highway 45 with 1.90 acres for sale. Excess property for sale in Foley, AL, located off of AL Highway 59 with 1.30 acres for sale. 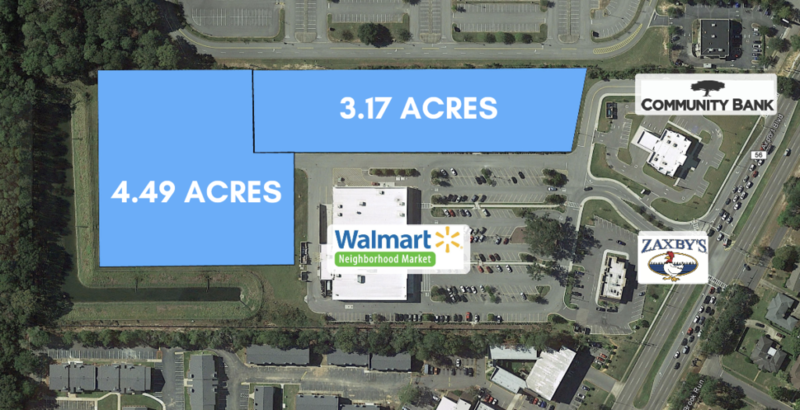 Located in the heart of Foley's retail corridor with 1.30 acres for sale, this is excess property adjacent to Walmart Supercenter #904. 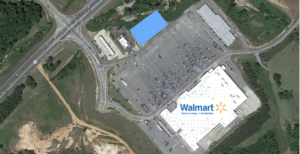 Walmart Outlot for sale in Brent, AL, located at the intersection of US Highway 82 & AL highway 5 with 1.0 acres for sale. This is a prime small market Walmart outparcel adjacent to Walmart Supercenter #425. 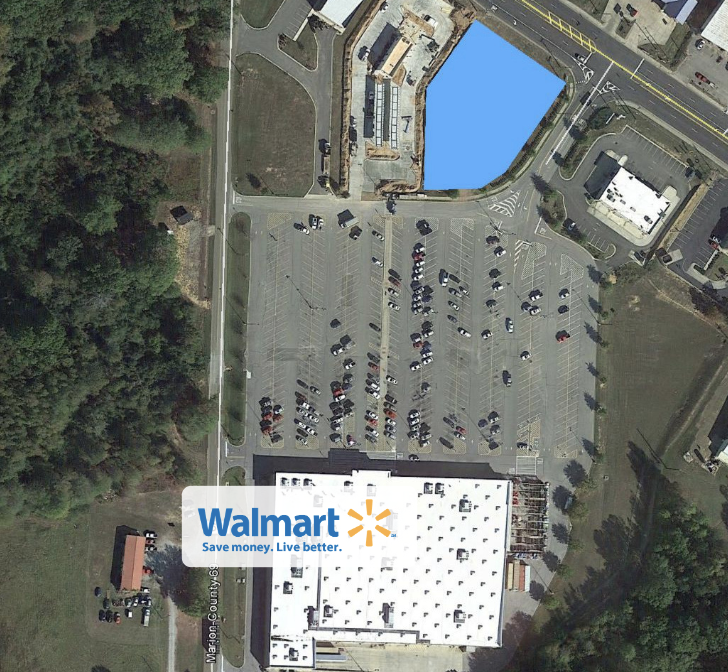 Walmart Carveout for sale in Andalusia, AL, located just off Andalusia Bypass with 0.84 acres for sale. This is a Walmart carveout adjacent to Walmart Supercenter #1091. Outlot for sale in Hoover, AL, located at intersection of Lorna Road and Patton Chapel Rd/Rocky Ridge Rd with 0.73 acres for sale. Located at the busy intersection of Lorna Rd & Patton Chapel Rd/Rocky Ridge Rd with 0.73 acres for sale, this is an outlot adjacent to Walmart Neighborhood Market #3184. 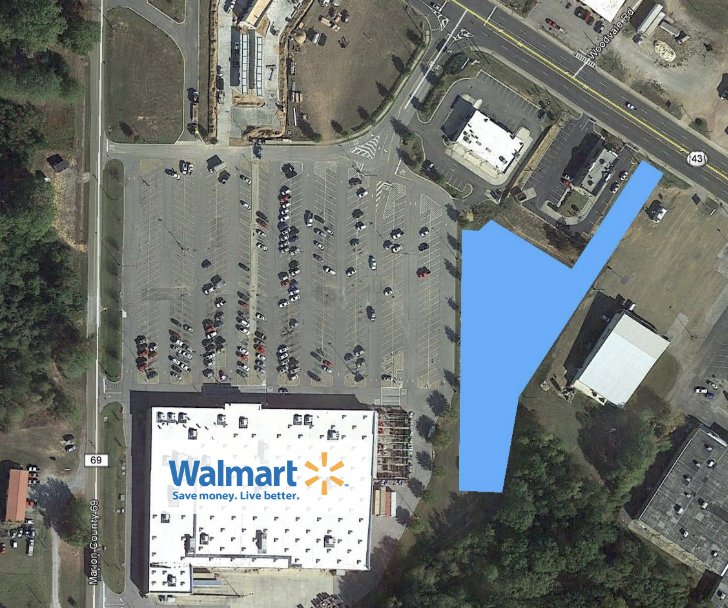 Walmart Outlot for sale in Millbrook, AL with 0.95 acres for sale. This is a Walmart outlot adjacent to Walmart Supercenter #4318. 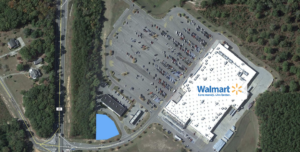 Mobile Walmart Outlots with 4.49 & 3.17 acres for sale. Adjacent to Walmart Neighborhood market #4648. Also, this outlot is conveniently located near Providence Hospital and The University of South Alabama. 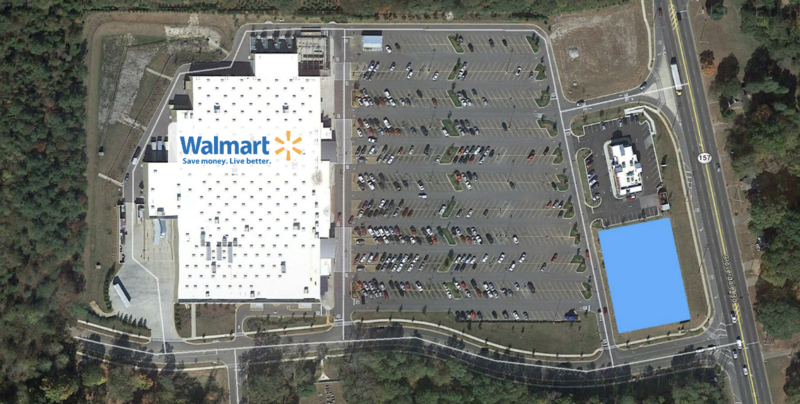 Walmart Outlot for sale in Robertsdale, AL with 1.02 acres for sale. This is a Walmart outlot adjacent to Walmart Supercenter #6173. 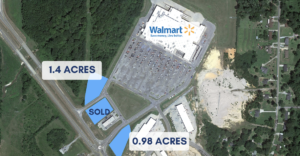 Monroeville Walmart Outlot with 1.24 acres for sale. Adjacent to Walmart Supercenter #1493. 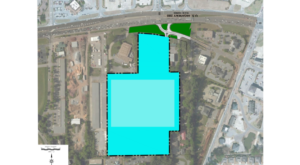 Excess property for sale in Birmingham, AL, located on Highway 280 with 14.92 acres for sale. 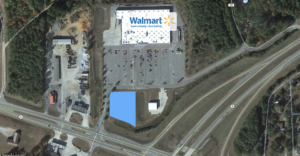 Located on US Highway 280 near the intersection of Highway 119 with 14.92 acres for sale, this is excess property adjacent to Walmart Supercenter #2111. 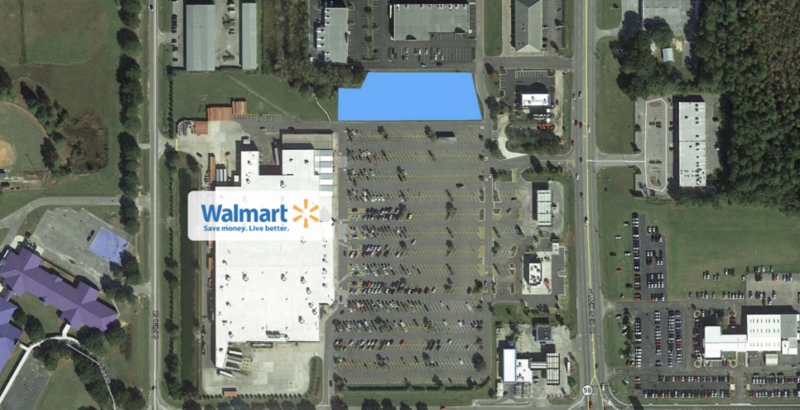 Biloxi Walmart Outlot with 0.86 acres for sale. Adjacent to Walmart Supercenter #1088. This outlot is a new to market, rare development opportunity. 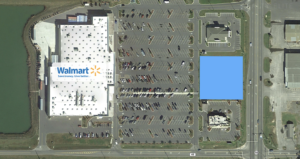 Meridian Walmart Outlots: 1.4 Acres & 0.98 Acres for sale. Adjacent to Walmart Supercenter #1271. These outlots are a prime outparcel development opportunity. 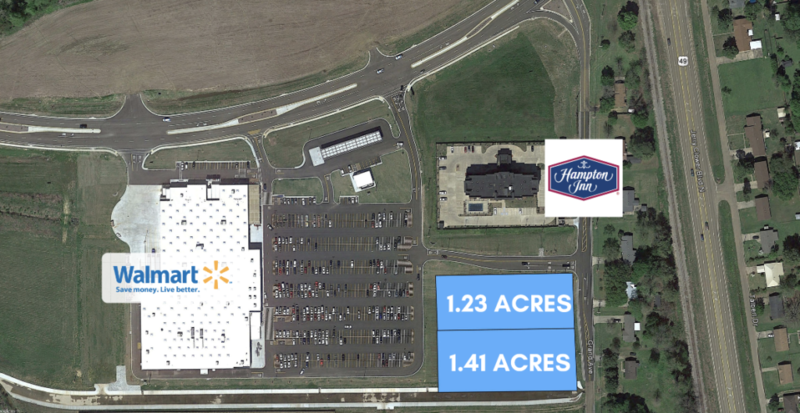 Yazoo City Walmart Outlots with 1.23 and 1.41 acres for sale. Adjacent to Walmart Store #3060. This is a shadow center development opportunity.